Hammonds Sauce Co was the largest privately-owned sauce manufacturer in Britain. 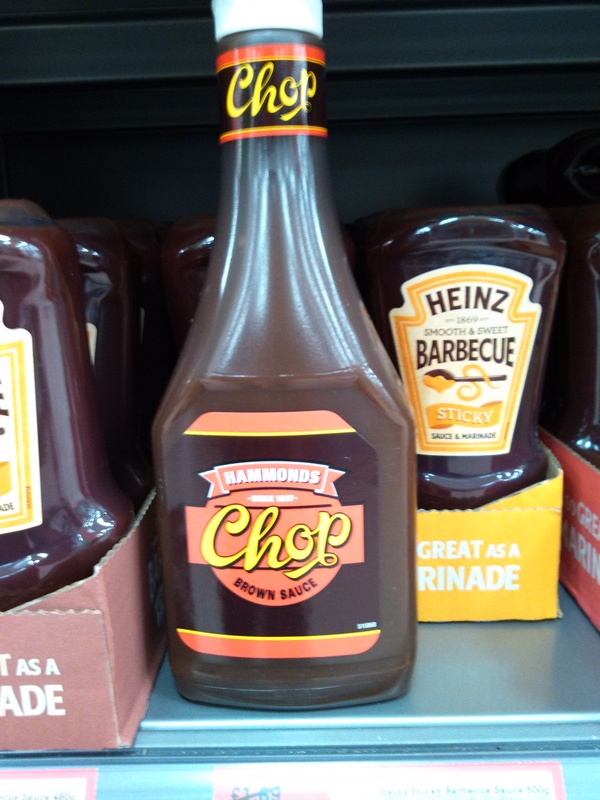 Hammonds became best known for its Chop Sauce, a light and spicy brown sauce. Herbert Bowdin Hawley (1880 – 1952) was born in Grassington, Yorkshire, the son of a farmer of 95 acres. Hawley left home at the age of 21 with just £10. He worked in a grocer’s warehouse in Halifax, and later as a salesman. He had established himself as director of a soap manufacturing company in Shipley, near Bradford by 1911. Herbert Hawley entered into partnership with his brother Richard to form H B and R Hawley Ltd, cake flour manufacturers, in 1914. H B Hawley acted as chairman of the company, which had a nominal capital of £50,000 in 1920. H B Hawley founded a sauce manufacturing company, at Wellcroft Mills, Shipley, in 1924. Expanding sales saw production relocate to a new factory at Dockfield Road, Shipley, from 1930. Hammonds Chop Sauce was introduced from that same year, and soon became the principal product. The company took on the name of Hammonds Sauce Co from 1933. H B Hawley was a keen bandmaster and composer, and he formed the Hammonds Sauce Works Band in 1946. H B Hawley died in 1952, and left an estate valued at £27,000. He was hailed as one of the leading bandmasters in Yorkshire. His son, Horace Routledge Hawley (1910 – 1983), took over Hammonds Sauce Co.
Hammonds Sauce Co employed a staff of around 100 by 1954. Goodall, Backhouse & Co of Leeds was acquired in 1959. Goodall’s were sauce manufacturers best known for Yorkshire Relish. Hammonds Sauce Co was the largest privately-owned sauce manufacturer in Britain by 1974, with a range of 70 products. 34 million bottles of sauce were sold that year, with a significant proportion exported, largely to the United States. The American market was particularly fond of Hammonds Steak Sauce and Yorkshire Relish. Horace Hawley retired as managing director in 1975, but continued as company chairman. Hammonds was acquired by US food conglomerate Pillsbury, best known in Britain for Green Giant sweetcorn, for £2.4 million in 1982. Pillsbury centralised all production at a new £1 million factory on Harrogate Road, Bradford from 1985. The Goodall Backhouse factory in Leeds and the Hammonds factory in Shipley were closed. Pillsbury was acquired by Grand Metropolitan in 1988 who sold the UK business to Dalgety in 1990. Hammonds had an annual turnover of £11 million in 1990. Hammonds was acquired by Albert Fisher for £12 million in 1991. Albert Fisher ended sponsorship of the Hammonds Sauce Works band after 47 years in 1993. Hammonds was acquired by Unigate in 1999. The Bradford factory was closed in 2002 and production was relocated to a former vinegar brewery on Whitelees Road, Littleborough, Lancashire. McCormick, the American seasonings company, acquired Hammonds for £12.2 million in 2003. Hammonds Sauce largely served the catering industry. Hammonds Chop Sauce was available in British supermarkets, and derived its flavour from apple puree, tomato paste and spices. However reports from January 2019 onwards suggest that the sauce has been discontinued. is Chop source still being manufactured? If it is, can help, where can it be bought? It is made by McCormick in Lancashire. It can be bought from Morrisons. I have recently read the article about Hammonds Sauce’s history. My comment asks you to edit the article regarding Horace Routledge Hawley ( who was my father) as he was born in 1912 and not 1911 as stated. Okay thank you for this information, I will amend accordingly. I trust the rest of the article is accurate? My Grandfather was called Henry brother of Herbert ? Sheila, I think my dad and mum used to live over the garden from you. Michael and Barbara Wright. They also worked at Hammonds. So did the majority of the Wright family, at one time or another. Hi can you tell me where I can get Hammonds chops sauce from. I live in Norfolk. It’s the only sauce I and my family eat. Morrison’s have stopped stocking it. Try Sainsbury’s. Otherwise, http://www.wingyipstore.co.uk sell 4.3kg bottles.